Gro-Pak Farms: 180 acre joint-venture agreement since 1973 originated between Nino Tomizza and Loius Devald. 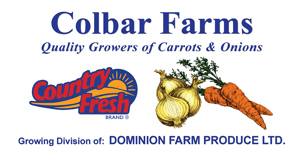 Col-Bar Farms: 150 acres of carrots and beets. Holland Acres: 375 acres of transplant onions, early carrots, storage onions, carrots, beets and parsnips. Contract growers in Leamington, Simcoe, Georgia, Texas, California and Arizona. Korag Farms 160 acres of carrots and onions. 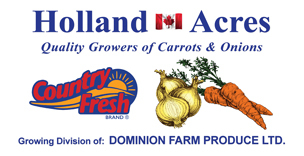 Hollandale Farms 160 acres of carrots and onions. Marshland Gardens 150 acres of carrots and onions. 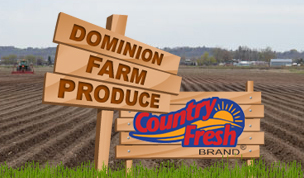 Your feedback is valuable to us here at Dominion Farm Produce. Please feel free to call, email or submit a contact request with your comments or concerns. Our friendly staff is happy to assist you in whatever way we can.